unning is fairly straightforward. Races are from point A to point B, with not too many obstacles in between. Freshman Brie Oakley’s first experience with running, however, was a bit different — she ended up lost. It’s early in the summer before her freshman year of high school, and Oakley has decided to attend a practice with the school’s cross country team. Being the competitor that she is, Oakley determines that she is going to run with the varsity athletes on her first day. It didn’t go as expected. occer was Oakley’s first love, but running was her true calling. Oakley, a native of Centennial, Colorado, had a much later start to her running career than most — one which didn’t begin until her junior year of high school. With 12 years of soccer under her belt, she tried cross country on a mere whim when the opportunity was presented to her. “I just had friends on the cross country team, and they convinced me to try it out,” Oakley says. This mere whim, however, gave Cal cross country its most successful freshman in recent memory. Oakley finished as the Bears’ No. 2 runner in every race — finishing in the top 30 at each meet — and became the first member of the women’s team to receive Pac-12 Freshman of the Year in Cal history. For an athlete who primarily played soccer just three years ago, these accomplishments are nothing short of unbelievable. While running and soccer may seem to go hand in hand, cross country is an entirely different beast. Soccer involves quick cutting, acceleration, bursts of speed and, depending on the position, the occasional opportunity to rest. Cross country, on the other hand, focuses more on combining both speed and pure endurance. Even with the literal and figurative change of pace, Oakley’s decade-plus worth of high intensity soccer did provide her with the athletic base and fitness necessary to succeed in cross country. In a sport like cross country — where hard workers are especially abundant — Oakley still manages to stand out. Cross country has a very different training regimen in comparison to soccer. Soccer is based more on honable skills; cross country requires a fine balance. With a sport based on pushing the boundaries of the human body, rest is just as valuable as the work put in. akley’s level of experience when it came to running competitively, or rather lack thereof, was extremely surprising. In just a couple short months, Oakley was able to make up for the lost time. In her first season of cross country, she finished second at the Colorado cross country state championships. “Going immediately to being state runner up her junior year … that was something amazing,” Robbins says. Later that year, Oakley decided to forgo soccer and focus entirely on running, with the track season on the horizon. This was another big change for Oakley, as she transitioned into the shorter distances of track. But once again, she seamlessly adapted. After finishing second in the state during her cross country season, Oakley had mile-high expectations for the coming track season. The shorter distances didn’t phase Oakley at all. She became the Colorado 5A track state champion in both the mile and two mile. Oakley not only crossed the finish line a cool five seconds faster than the second-place runner, but she finished as the only competitor to run a sub-five mile. What is more shocking about the final result is the stark contrast of experience between the athletes. Of the runners who finished in the top 10, Oakley was the only runner with less than a full year of running under her belt. “Basically from day one, she was something special,” Robbins says. Oakley’s rapid ascent continued into her senior year, proving that her performance the year was just the beginning. Oakley handily won the Colorado cross country state championships, a race she had barely come in second in the year before. Her victory was even sweeter as she bested the previous year’s champion Lauren Gregory, who outran Oakley the year before. Oakley built on that impressive showing by qualifying for Nike Cross Nationals. With only a little more than a full year of running experience under her laces, Oakley won the race by almost 30 seconds. But her most impressive high school feat happened in June during the 2017 track season at the Brooks PR Invitational. During her second trip to the Brooks PR, Oakley broke the national high school record for the outdoor two mile. “I just wanted to go out and see what I could do, and I just wanted to finish my high school career on a good note, and I was really happy with what I did,” Oakley says. Ending her season on a good note is a severe understatement. In just her second year of running Oakley had beaten some of the nation’s top runners and broken a national record — a record, funny enough, that was set in 2014 by Oakley’s now-teammate, senior Bethan Knights. Oakley capped off her wildly successful high school cross country career by winning 2016-17 Gatorade National Girls Cross Country Runner of the Year. ith a laundry list of achievements like hers, Oakley had the chance to join practically any elite running program, but she chose Cal. Despite Berkeley being vastly different from her native Centennial, Oakley feels right at home. “I really liked everything about it — people and location and everything,” Oakley says. Like the transition from Colorado to California, the move from high school to college in sports is just as drastic. At the collegiate level, athletes are no longer limited to the competition pool of their local area, but to the entire nation. Another hurdle she had to face was the increased distance. 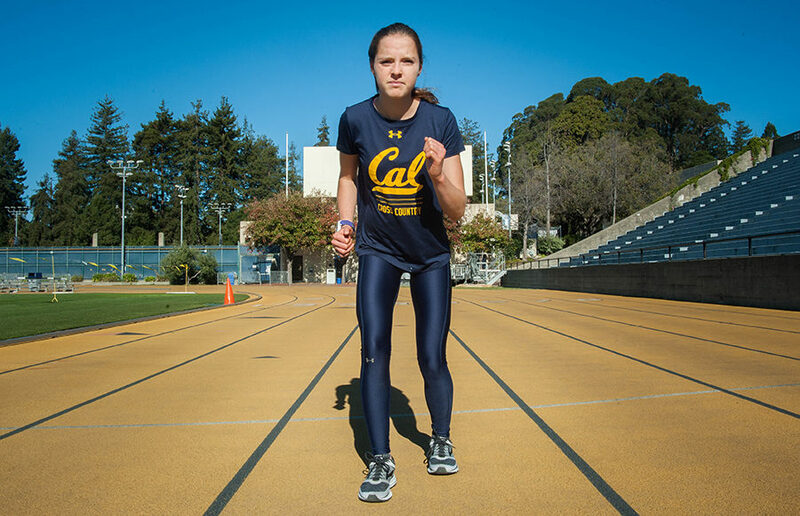 While Oakley only ran the 5-kilometer race while in high school, at Cal she had to compete in the unfamiliar 6K. This transition pushes first-year runners to their limits. While cross country is scored as a team, runners have only themselves to rely on during a race. If they don’t have enough mental strength, they’re not going to survive the grind of a 6K race. Oakley, as evidenced by her first year with the Bears, has shown this grit in spades. 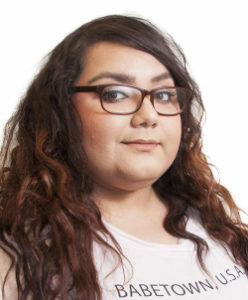 “(Her work ethic is at) the highest level. She’s an athlete you don’t have to motivate,” Robbins says. Oakley’s dedication sets her apart from most people — let alone athletes. While some athletes can coast on their pure ability, the truly elite ones pay attention to the little things. Her attention to the little things has been nothing but conducive to her running career. Since high school, she has made sure her diet was one that could fuel her championship caliber ability. Oakley, with all her incredible habits, has had a fantastic leader to look up to and learn from in Knights. Behind a historic first season, Oakley is primed to follow in her teammate’s footsteps and lead the women’s team for the next few years. This time around, she won’t get lost on the way. Harshil Desai covers cross country. Contact him at [email protected].